How are retail companies using latest technologies such as augmentation, artificial intelligence, machine learning to keep themselves ahead of their competitors today, and what innovations are being pioneered as potential retail game-changers over the next decade? The physically established retail stores will get users to create their accounts, just like users have their online accounts. There are some initiatives taken by stores in doing so by offering pickups, deliveries and loyalty point accounts. This helps the storekeepers to personalize the preferences and buying patterns of each customer who walks into the store. Buying patterns consist of the categories of products bought, combinations bought preferred brands, amount spent and frequency of buying. Till now the focus was on recommending products. In a breakthrough approach, along with recommending products to customers, this model can also predict customer’s needs and anticipate their arrival to the physical/online store for a particular set of items to buy. The customer returns to a store only because of trust that is built upon the range of items available, the quality, correct pricing, feasible payment options, delivery options and complain resolution around these parameters. A new customer tries a store again because of the trust factor received by his or her peers, around the parameters mentioned above. Among them, a system of communication queries answering and complains resolution becomes paramount because this system reflects the sense of responsibility. AI can build a strong system for communication, query answering and complain resolutions. The best impact would be to keep customers out of the waiting queue as AI would be able to handle multiple communications at the same time. Further, it will be able to accurately answer by avoiding human mistakes that a human operator would do in fetching answers. 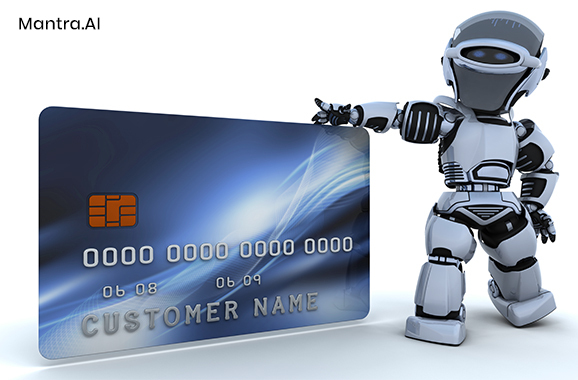 Also, the AI will be able to take decisions based on the customer’s query and execute an action without any delay. Just like retails can do customer profiling, they can also do product profiling. This depends on the product type, quantity, brand, cost, combinations (if exists) in which people prefer to buy this product along with other products, the location of the product kept in physical store, the minimum quantity that is always available with the store and market popularity. The target is that this product is always sold along with other products where customers tend to buy this product while buying some another product, and also that the optimal quantity of product is always maintained in the stock. Efficient models can be made for this, using AI and then the results can be displayed on a dashboard to the store operator so that the operator can take appropriate steps towards the inventory. Much of the operations in retails revolve around the pricing of the product. Customers wait for the price drop for non-urgent items. They also wait for products to arrive in combination at an optimal price. Sometimes this can lead to more sales generating higher revenue for a short time, sometimes it can also lead to overall unprofitable sales because of sales at lower than procurement price. AI can be used to identify an optimal price for a set of customers which will drive them to buy immediately. For another cluster of customers, AI can determine product combination at an attractive price. While making these strategies, AI will be able to ensure that the strategy turns profitable. It is also known as split testing or AB testing. It allows retailers to use AI in approximating the outcome of few strategies without actually implementing the strategies, and then deploy the most feasible strategy according to available resources. Which rack is most explored by customers? Is the most explored rack popular because of location or products? Can highly profitable products be placed on the most popular rack? Will people buy if prices are increased? Should high priced products be shown prominently? Also, cameras employed at various locations can also monitor people activities and create an activity map that can be input to such simulations. With AI and Machine Learning, retailers can predict customer’s behaviour and help them individualize shopping experiences. AI and Machine learning can be very beneficial to the companies when used correctly. The future is AI in retail is here.